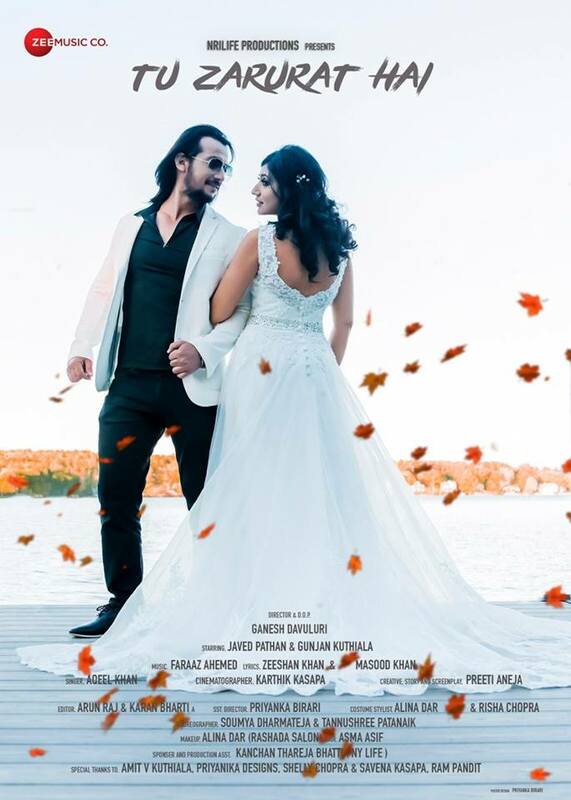 Javed Pathan, an up and coming Bollywood star, co-starred with New England's Gunjan Kuthiala, on a Music Video in New England produced by NRILIFE productions that will be released on Zee Music. The video was created under the direction of New England’s own Ganesh Davuluri. Lokvani spoke to Javed Pathan about his life and his career in television and movies. It is an inspirational tale of a young man from a small town with big dreams making a difference. It is the tale of a Muslim boy learning Sanskrit at high school that became his ticket to success. What does the future hold for him? ‘I am excited to do the projects in the US like the music video. I love playing negative characters. People like Amrish Puri are my idols. I think the negative characters give a lot of scope for acting. It was inspiring to hear the tale of a young man from a small town making in Bollywood without connections. And he owes the beginning to his knowledge of the Gayatri Mantra and Sanskrit. A fascinating tale indeed !